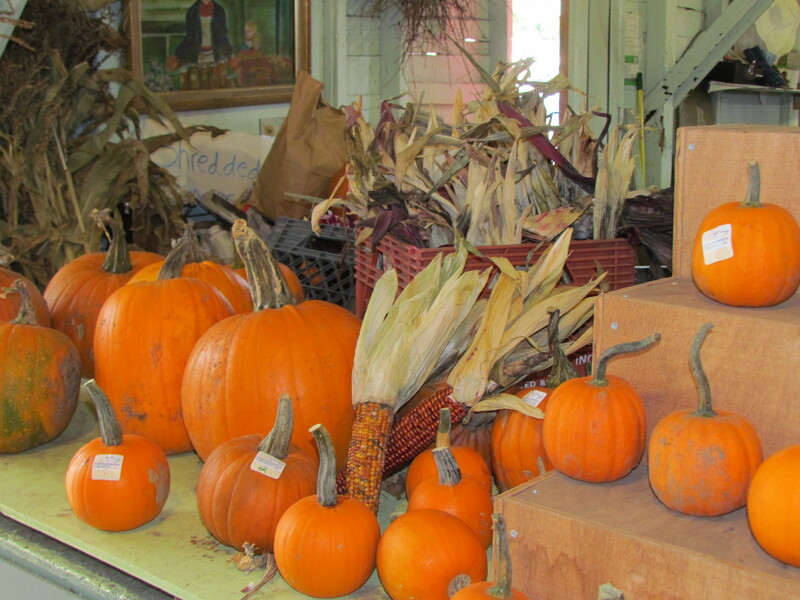 I figured it was nearing the end of the Farmers’ Market season. But having been gone for the height of the growing season, I was drawn to the 100-year old institution to make up for lost time. I figured it would be quiet, with a few vendors and fewer customers at this time of year. Boy was I wrong! I arrived to discover that the parking lot was crammed full of cars, and quickly exited the melee to vie for the elusive street parking spots. Returning to the long red wooden building, I found cider making in process outside the center door. It was apple cider production at its very basic best. 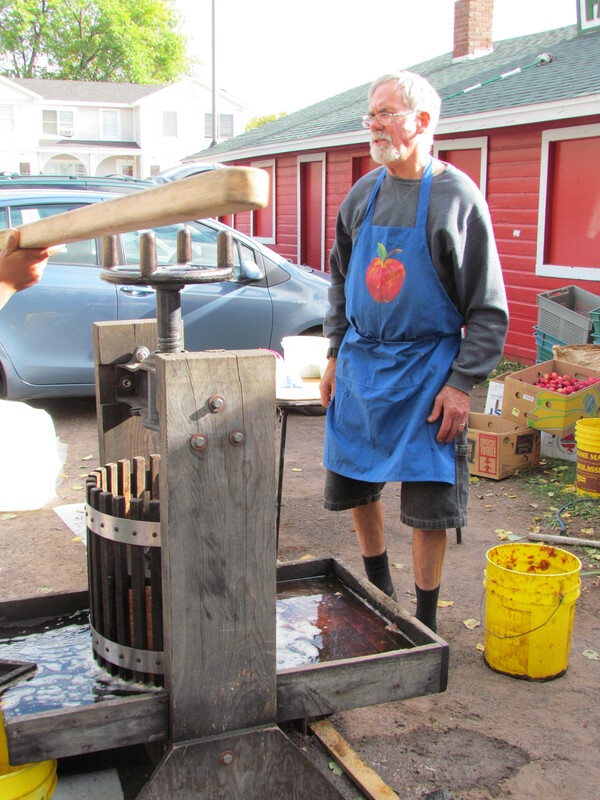 A load of apple chunks were dumped into a wooden press, and as they were compressed apple juice streamed out the bottom into buckets. After the initial turns of the circular crank on the press, a long wooden bar was fitted to the top and several eager young boys were recruited to turn it. Round and round they walked, pushing the bar and enjoying the work, much like young Tom Sawyers. 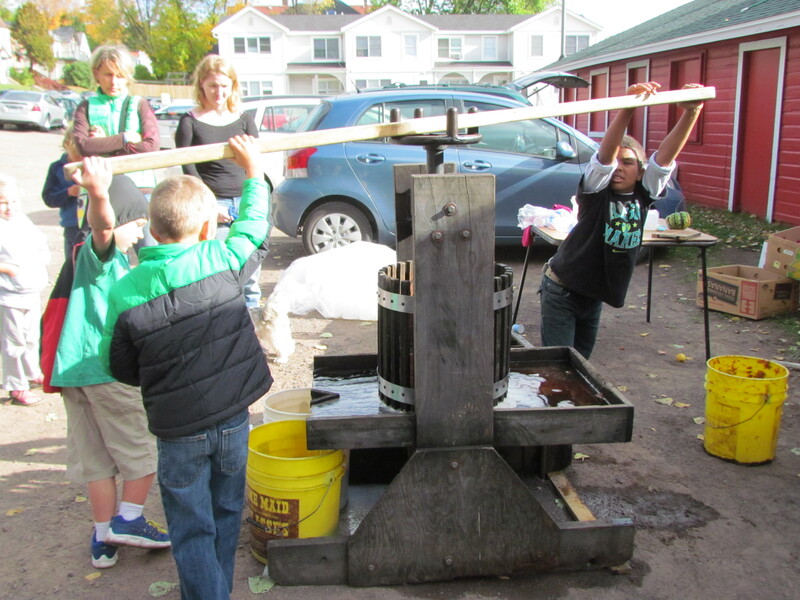 Adults and children alike gathered to watch the process and line up for the freshest cider in town. 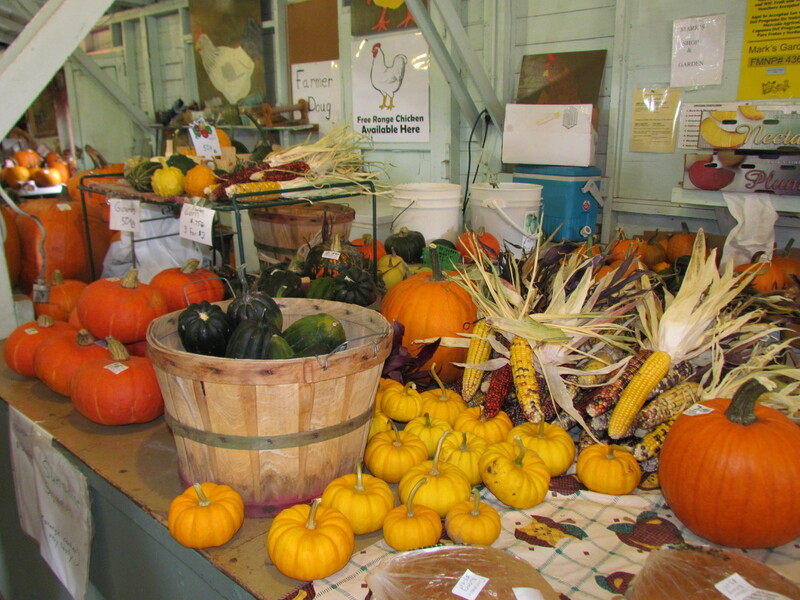 Inside, the booths were filled with vendors and their was an air of festivity to the fall showing. Tunes from a dulcimer player situated in the center aisle mingled with the murmurings of customers as they moved among the colorful produce. 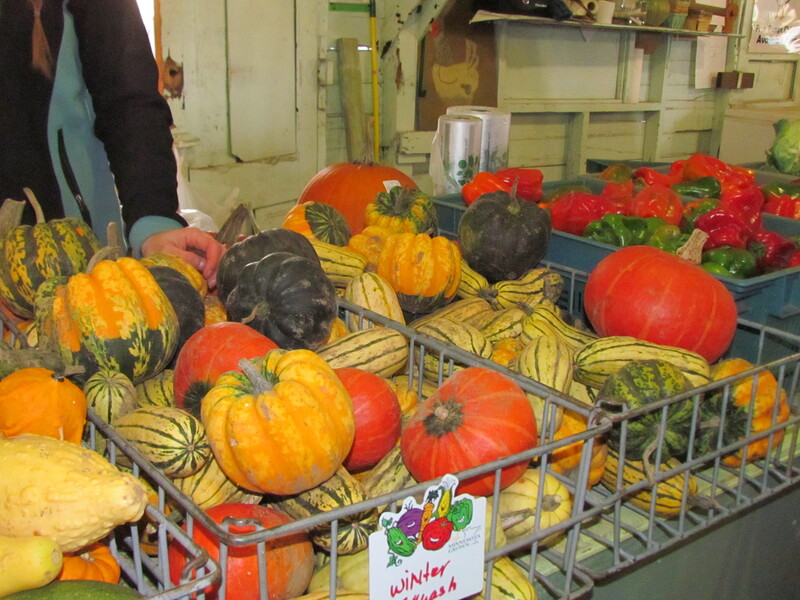 Only a few summer vegetables lingered among the offerings, with the preponderance of space dedicated to pumpkins, gourds and squash. Their hues reflected the brilliance of the fall leaves outside. The baked goods were tempting, from whole grain breads to gooey rolls, sweet breads and giant cookies. And a variety of jams and canned goods were on hand to sample and purchase. It was truly a feast for the senses. I made the full circuit of the prolific booths before making my selections. Filling my bag with peppers, baby potatoes, squash and tomatoes, I felt good about supporting our local farmers and looked forward to cooking with my fresh produce. I resisted the baked goods, knowing I’d enjoy making them myself at home, and brought home fresh inspiration for baking projects. I’m so glad I didn’t ignore the calling. The season appears to be far from over. I can’t wait to go back next week. This entry was posted in Life Up North and tagged Duluth Minnesota, Food by Molly. Bookmark the permalink.